The GL3LED is the ideal choice for parking areas, entrances, walkways, underpasses, loading docks, and on building exteriors. 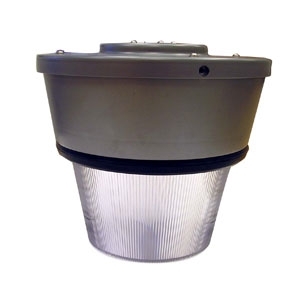 An anodized aluminum reflector offers high-reflectivity and ease of maintenance. Consult RLE for induction. 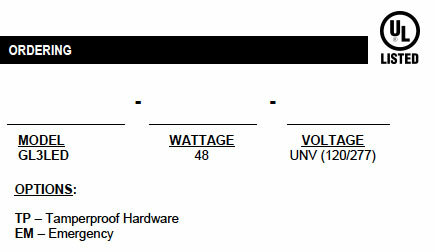 A 48W LED is comparable to 125-150W HID.